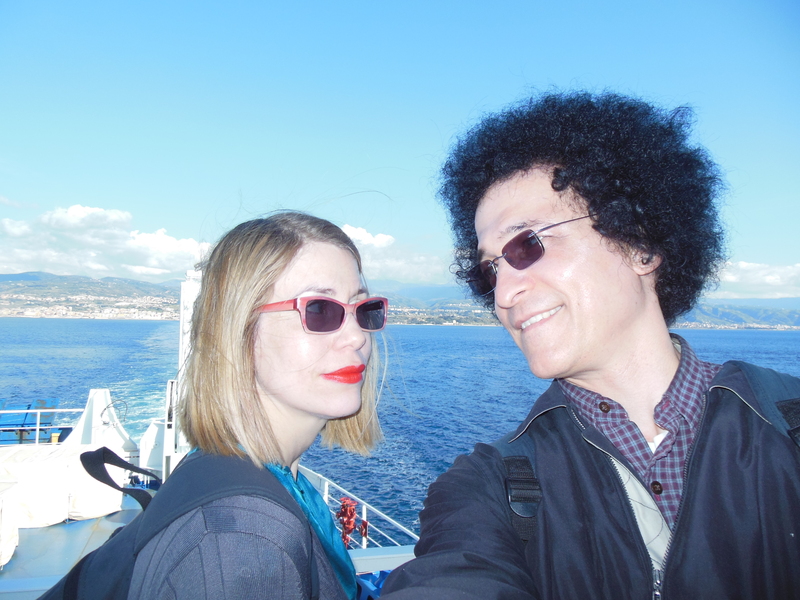 Today I napped on a dusty train next to a stranger, South from Naples down mainland Italy until we crossed the Straight of Messina into Sicily. 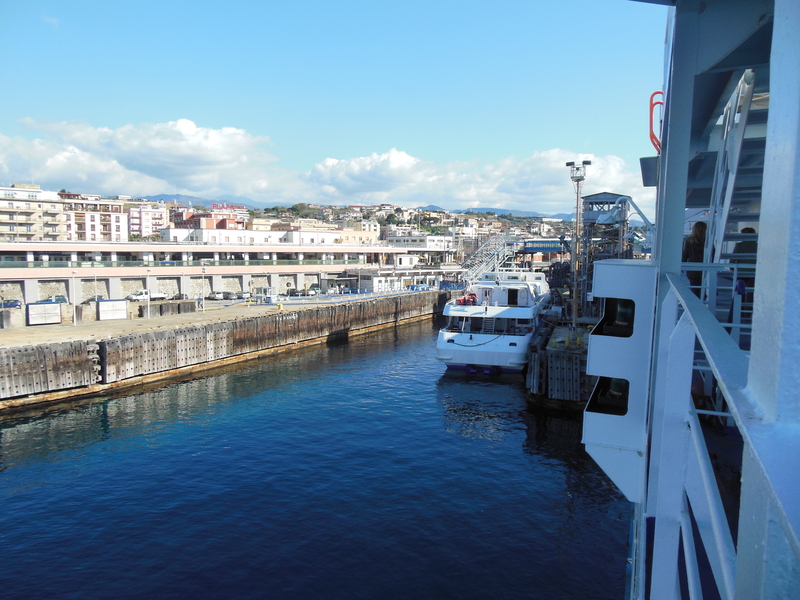 Sicily is an island, of course, and there’s no bridge, and yet it’s possible to take a train across the sea. The train actually boards a ferry by breaking up into two chunks—a cumbersome and time consuming operation. 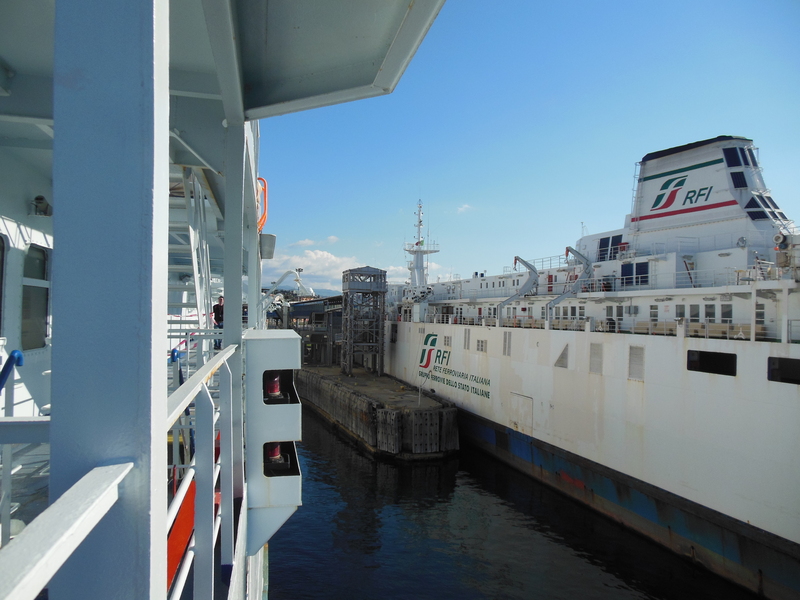 While the ferry crosses the straights passengers are free to walk out the train up into the ferry’s deck. It was a joy to leave the stuffy train and emerge into the breeze and the sun. 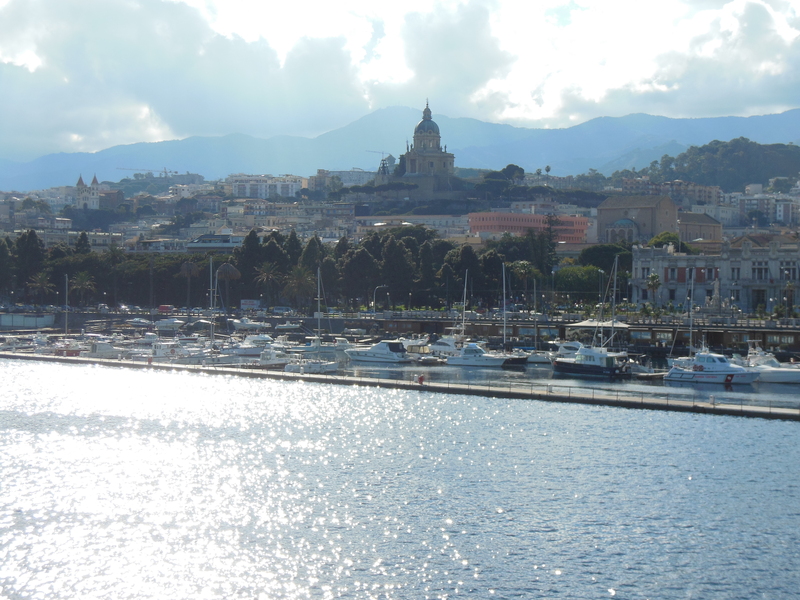 After arriving in Sicily, the train chunks go onto different cities: ours to Palermo where we’ll stay for three nights. Thanks Kaitlin–I didn’t realize we were in your motherland!